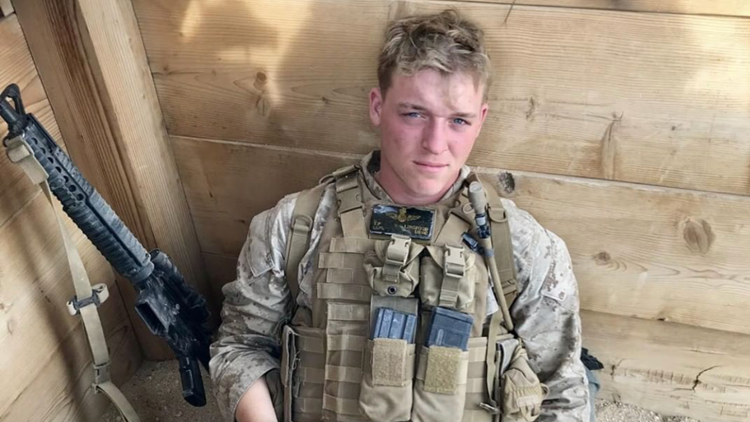 Tyler Wallingford, 21, of Standish was killed at the Marine Corps Air Station Beaufort in South Carolina around 9:30 p.m. on April 12. BEAUFORT, S.C. — Family and friends of a Maine Marine confirm that he was shot and killed by another Marine in Beaufort South Carolina on Friday night. According to Marine Corp Times, the Marine killed belonged to Marine Aircraft Group 31 and was fatally shot by another Marine on the base. The suspect is currently in custody. An investigation is underway. No other details are provided at this time. Tyler Wallingford, 21, was shot and killed by a fellow Marine in South Carolina on April 12. "Our deepest condolences go out to the family and friends of our fallen Marine. 21 year old Cpl Tyler P. Wallingford, the deceased, was an Aircraft Ordnance Technician with VMFAT-501. The suspect in custody is 21 year old Cpl Spencer T. Daily, also an Aircraft Ordnance Technician with VMFAT-501. "The shooting took place at the barracks on MCAS Beaufort. The Naval Criminal Investigative Service is leading the investigation, which is currently underway."